The tools presented on this page have been developed in close collaboration with designers at OLM Digital. We use them everyday in our works, they are all production proven. To make sure as much as possible people benefit of the tools, we share some of them free of charge with our OLM Open Tools project. Feel free to get your hands on it. Marked tool is OLM OpenTools. Please be sure to check, such as your environment. 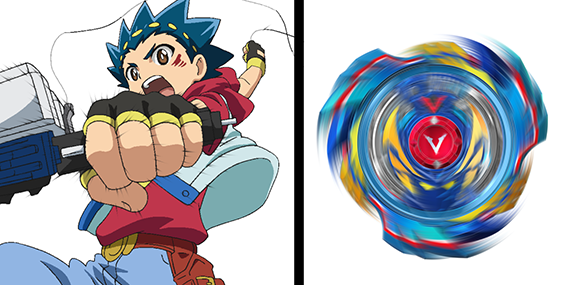 This plugin is a custom radial blur for 2D animation. Unlike regular blur, it is anisotropic and keeps color intensity and details of the source image. Noise can be added to generate cartoon motion lines. This plugin is a custom directional blur for 2D animation. Unlike regular blur, it is anisotropic and keeps color intensity and details of the source image. 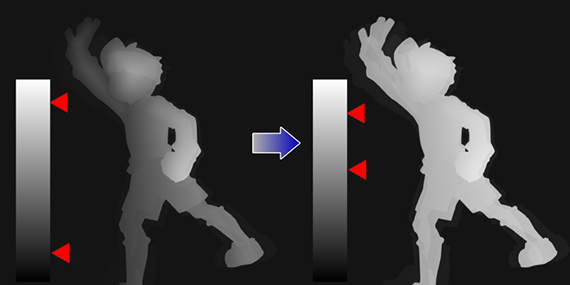 Noise can be added to generate cartoon motion lines. This plugin blurs the border between colors. 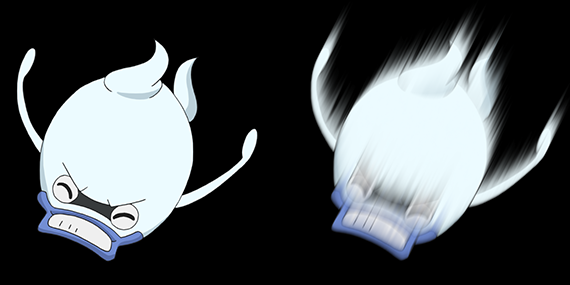 By combining with OLM Color Key, we can obtain this cartoon specific blur without cutting any masks. Generates some simple glow effects from highlights in a picture. Glow length and rotation can be adjusted. We added some quality/speed up threshold to match efficiency requirement of various workflows. 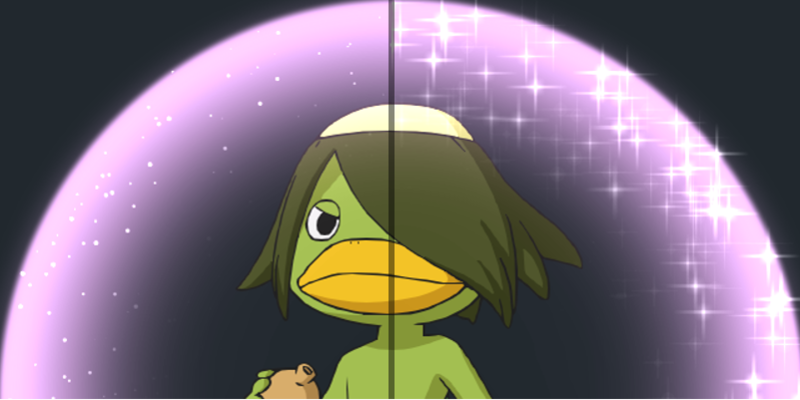 It combines OLM Color Keep features with After Effects default color key and edge thin/feather features. We added multiple color and color space and increased control over edge thin/feather feature. We also add color replacement function that is used a lotin cartoon creation. 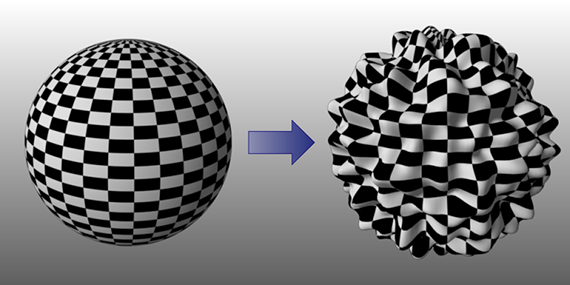 By using Distance Transform, it generates gradation according to the distance to alpha channel edges. This plugin can generate light aura effects effeciently and may be used in various other effects. By looking at how our artists create textures and background in Photoshop, we thought about bringing this to Maya into shaders. That is what Brush Shader is about. It takes some textures, multiplies it, overlays it and generate layers you can then composite through our Blend Compositing tool. You can get the equivalent of textures with 10-100k of resolution easily. If you want to get only one color with common keying tools, you would have to key all color but the color you want. This can be a really boring and long procedure, and even on the computation cost it ends up by being inefficient. That’s why we propose a tool that just KEEPS the color you want: Color Keep. 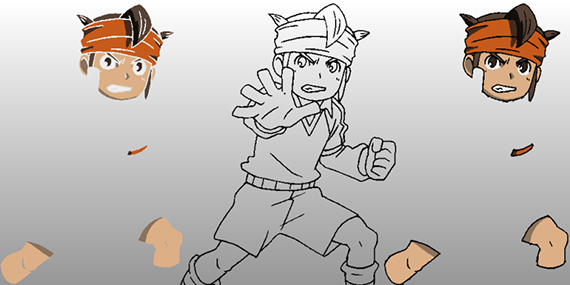 This tool has been designed for cel anime production, thus support only flat colors. 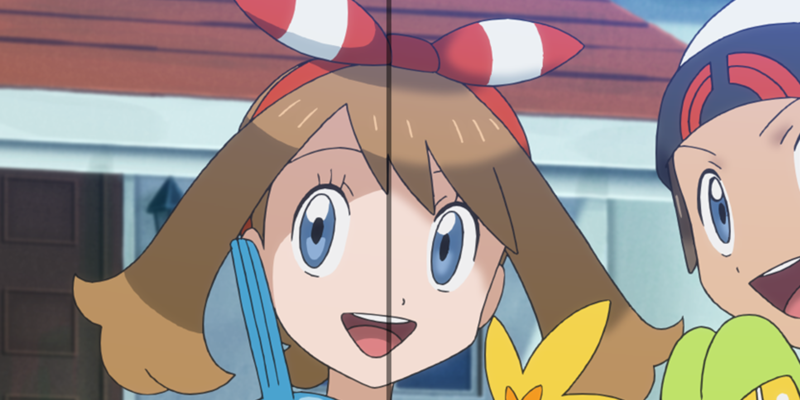 If you want to cut an anime cel in meaningful parts, you can cut by colors. 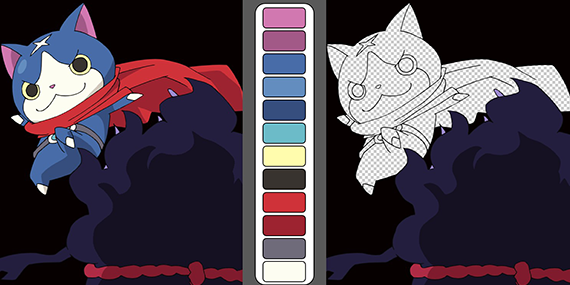 For example, you can use Color Keep and keep the main color and shadow colors of each needed parts. 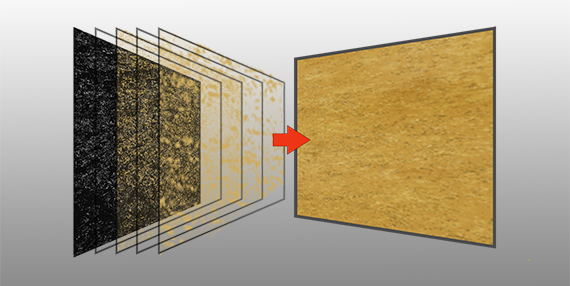 Auto Color Keep is a tool that analyzes all color connections, and all frames of an animation to generate layers with the different parts of the cel isolated. Anime cel have one outline color. It is then impossible to split it just by using color information. 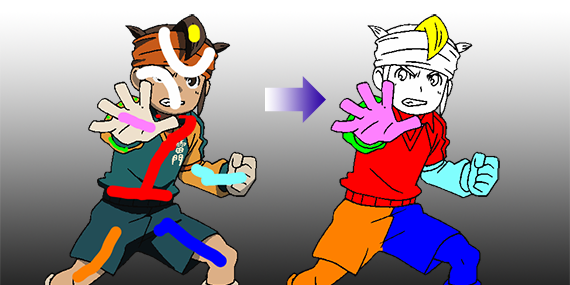 After having rotoscoped some parts using color information (like with Color Keep), we recover each connected outline by using Line Keep. 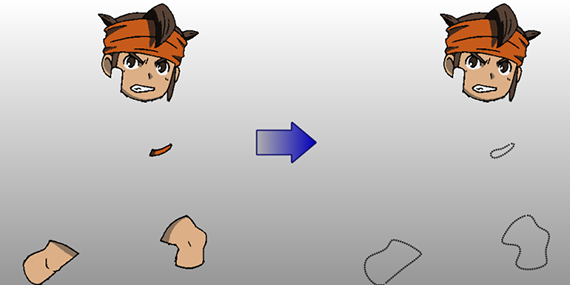 This plug-in has been developed to rotoscope cel animation during 2D/3D conversion. This AE plug-in assign an ID to each alpha area by using connection information. 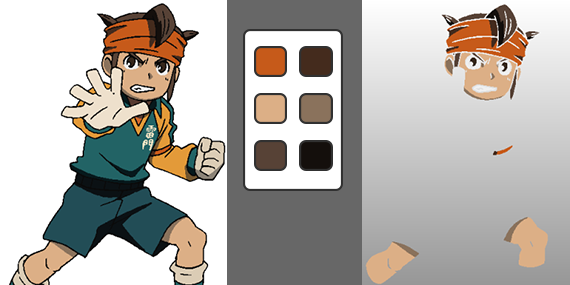 When using Color Keep, you may get multiple area of the same color (for example face and area with skin color). You can then use Alpha Separation to process it separately. 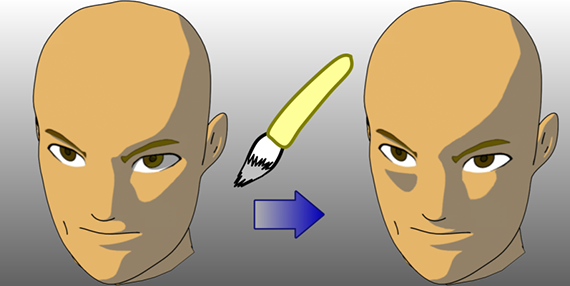 This plug-in has been developed to rotoscope cel animation during 2D/3D conversion. Point a region, set a range and the tool will gather for you the parts of the drawing you need. The algorithm use region detection and is specifically designed to handle cartoon drawings and uses fill and outline colors. Use any tool you want to paint roughly some stroke on your drawing. Stroke Select will use a customized Watershed algorithm to fill up the drawing with the given colors, enabling simple rotoscope of your drawings. Even if it has been designed to handle cartoon animation, the tool can handle any kind of pictures. This tool has been designed to work with the Stroke Select tool. 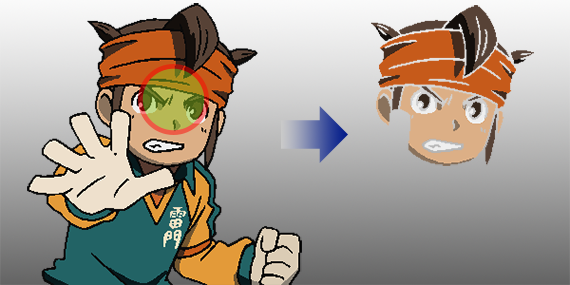 Using a color map on a pictures, it enables to extract the pictures from the given colors. This simplifies the rotoscope process and makes it visual. For example you got to render a 3D object flying in your scene. Then, when you enter in your composite phase, you want to add some glow or light effect, and you want it to move the same way as your object. Manually tracking the object and edit each effect to follow it is a really tedious task. By using Alpha Track you can use the alpha channel of your rendering to get the position, rotation and scale of your object. 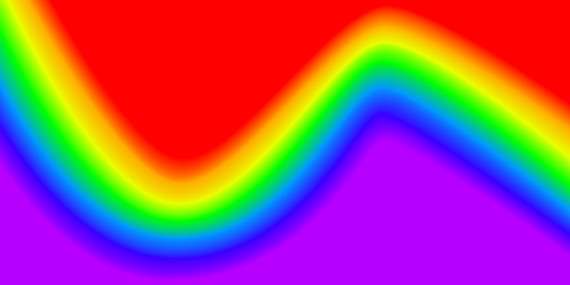 Autolevel is a process that automatically remap colors from [min, max] to [0,1] range. With Color Rescale you can map [min, max] to a [a,b] range you defined. Moreover you can use an alpha threshold to ignore small alpha values during the min/max determination process. 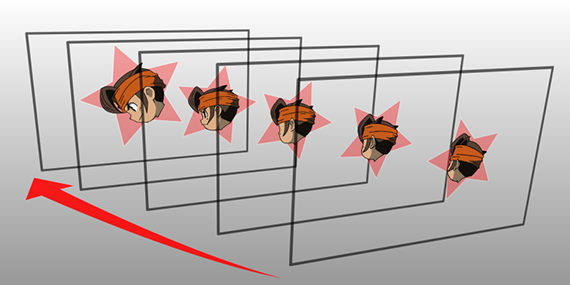 This is very useful for example when creating stereoscopic pictures with various depth layers. You can adjust each layer depth range easily. When you pile two layers, you will see it as two different things. but sometimes, those two things touch each other at some point. This connection often implies that the color would be the same at that point. For example, if you have depth layers, you want foot color to match the ground color. Adding some blur can make the trick, but it will end up… blurry. That’s why we developed Color Constraint. Choose the point of connection, choose the color you want to enforce, and the layer color will be adapted to match your constraint. 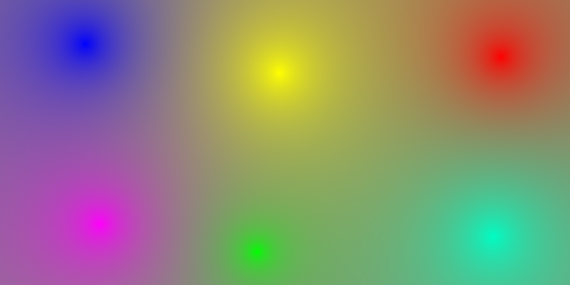 This effect interpolates some point colors. The difference with existing effects is in the number of points (up to 10), and the number of interpolation scheme available. 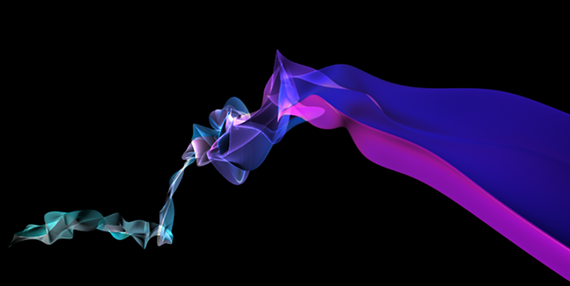 Write some curves, affect them colors and weights, and you get some smooth gradation of the colors between the curves. 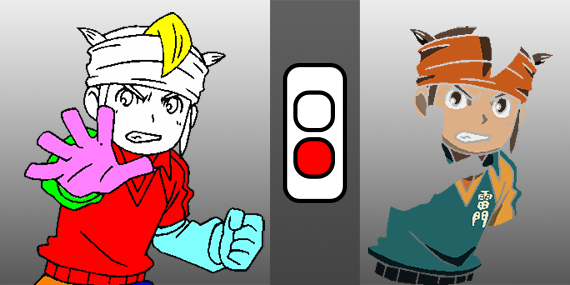 The curves are just standard AE masks, so you can animate them with key frame the same way. This deformer plug-in for Autodesk Maya allows you to alter shapes with various noise fields. Among other parameters, noise strength or detail level can be animated. This a very general tool that can be use a wide range of shots. Highlights are the result of a complex combination of lights, camera and object shapes. It’s really difficult to control there appearance or shape. Highlight Shader gives you the possibility to tune intuitively your highlights. Without changing lights or camera you can keyframe your highlight position. 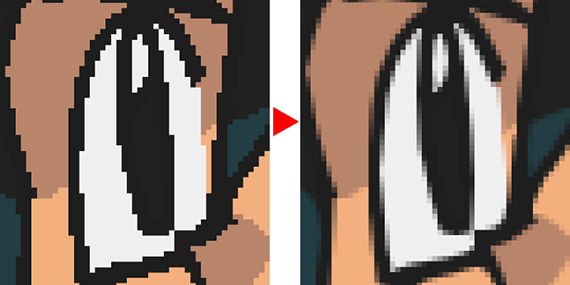 You can alter the shape in size and even get some Anime-like square highlights. The techniques behind Highlight Shader has been presented at NPAR 2006 "Tweakable Light and Shade for Cartoon Animation". 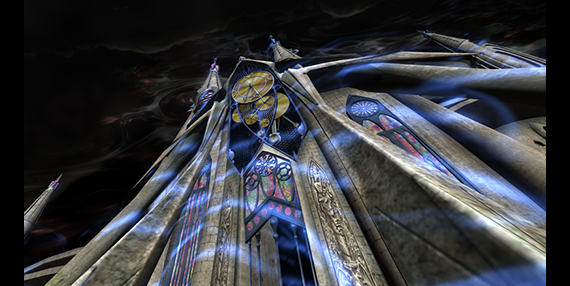 The physically realistic computation of 3DCG rendering software makes it difficult to edit locally the final result. Modifying the resulting shadow or highlights usually involves to modify the lights which will result in a global and not local modification. 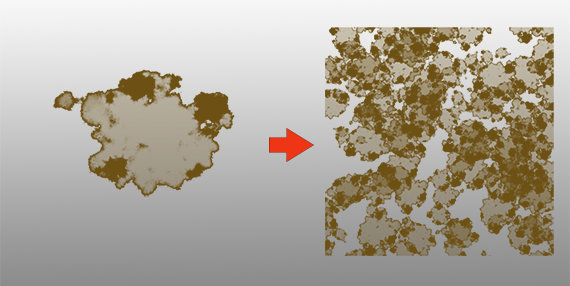 With Shade Painter, you can edit locally the shading result while keeping the global result of the rendering. You can conform then more easily to artistic direction that may be non compatible with realistic rendering and lighting. The techniques behind this tool has been presented at Siggraph 2007, "Locally Controllable Stylized Shading". 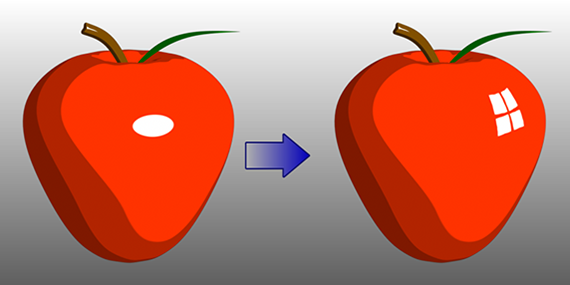 oppo is used to add some artistic expression of the path of an object after you animated it. For example you can achieve some light trails of lights in motion or the smoke trail of a bullet. You may add noise, fluctuations or extinction to the generated NURBS curves. 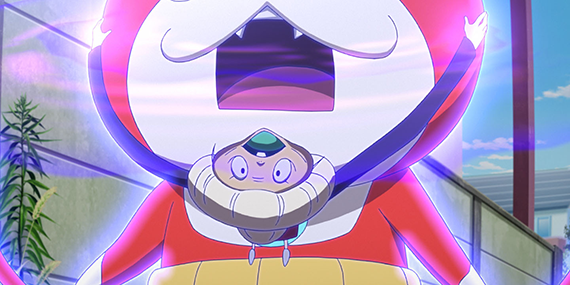 The name oppo means "tail" in Japanese, which pictures the kind of generated effect. In hand written animation, perspective is used as a storytelling tool. 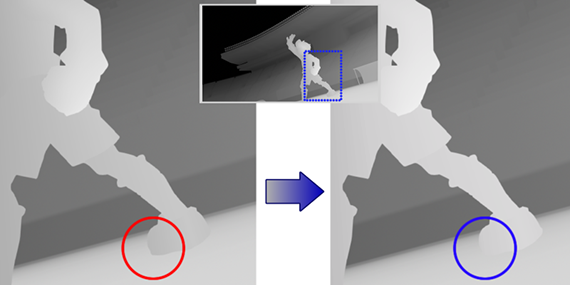 The emphasis of some story traits can result in unrealistic distortion of the perspective that are difficult to replicate in mathematically and physically right CG environment. 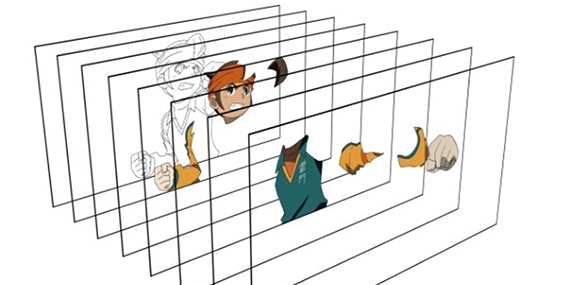 Anime Pers Deformer had been developed to simulate this kind of Anime specific perspective. By manipulating imaginary vanishing points you can adjust and distort the perspective. 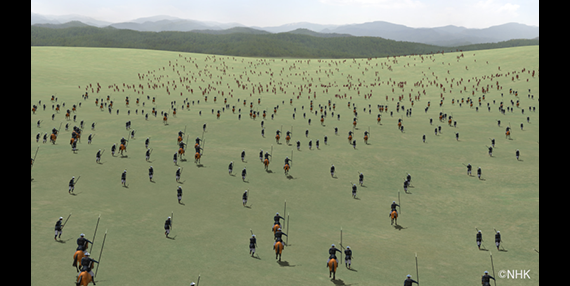 This is a crowd simulation plug-in for Maya. After setting up your scene, simulated characters move while avoiding obstacles and without colliding each other. This tool use some basic "goals" and "events" concept and enable the simulation of a wide range of scene (people walking and crossing at an intersection, large scale battle scenes…).